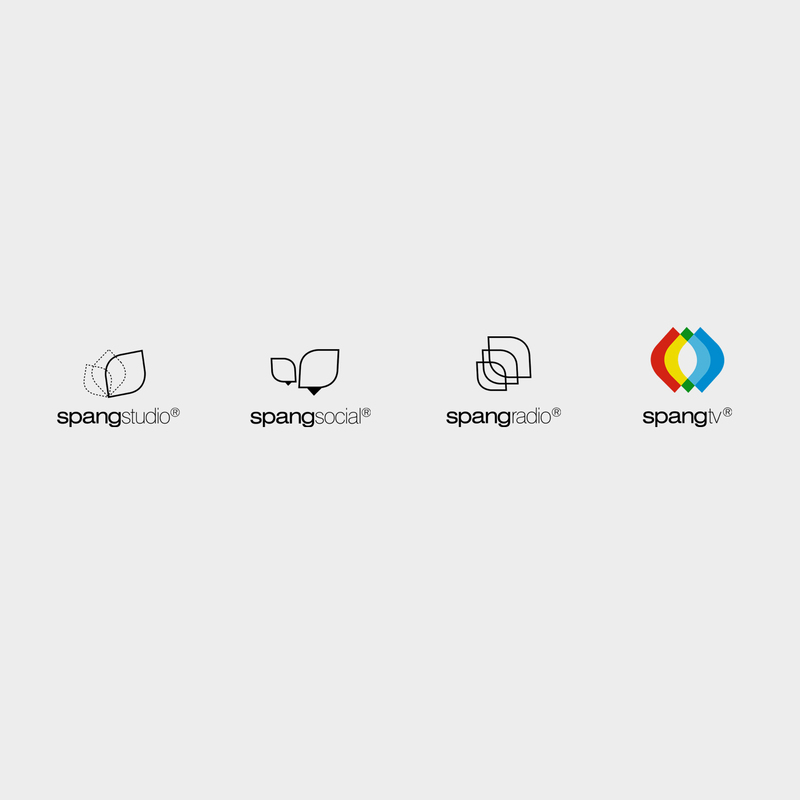 Spang Makandra is an interactive media studio who created a trainee program in Suriname. The school regroups 4 main courses (Spang TV, Spang Studio, Spang Radio, Spang Social). They already had their own logo made by the agency UsMedia but they needed variations of it for the different courses.